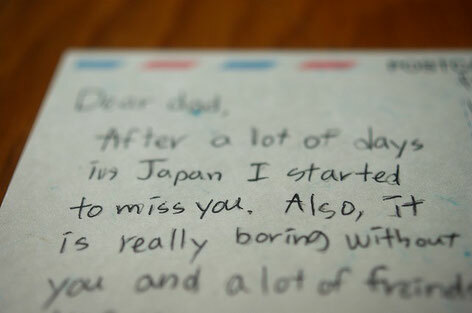 I received a post card from my son and yesterday, they returned home. It's good to have them back here, but I started to miss a quiet moment...When I have stimulation, I want stability. When I have stability, I miss stimulation.....well, I guess I can't have them all, but "well-balanced" is a key for happiness.